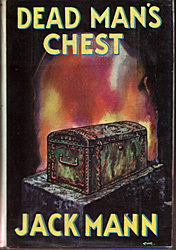 ED GORMAN “The Order of Things Unknown.” First published in Lovecraft’s Legacy, edited by Robert E. Weinberg & Martin H. Greenberg (Tor, hardcover, 1990; St. Martin’s, trade paperback, 1996). Truthfully, I had no idea where this story was going. Not until I read a little further and got to learn a little more about the protagonist’s sordid past. Apparently, some years ago Richard Hanson murdered an innocent small town girl he picked up on the roadside. His was a vile act, a disgusting murder in every sense of the word. And apparently, this Hanson became a compulsive serial killer of women. During the day, he was a normal family man with a job, wife, and kids. But he also killed and he never knew exactly why he did it and what drove him to such depths of moral depravity. The why is the crux of the matter in Ed Gorman’s gripping homage to H. P. Lovecraft. In “The Order of Things Unknown,” Gorman engages in genre blending, mixing a dark crime story with cosmic, supernatural themes once found in Weird Tales and other similar pulps. That question of “why” – why does an average man engage in such unspeakable atrocities? – is answered with reference to the same dark forces that haunted Lovecraft’s imagination. Maybe Hanson isn’t a free agent, acting in accordance with free will. Maybe he’s at the mercy of dark forces beyond his control, a mere puppet on the play strings of an ancient god. Overall, a haunting read, one that demonstrates how well versed the late Ed Gorman was with the philosophical and theological issues that so concerned Lovecraft during his short, tumultuous life. Sarah Harmer is a singer-songwriter from Canada. “Lodestar” is a song from her 2000 CD You Were Here, which went platinum in that country (over 100,000 copies sold). THE LOST BOOKS OF PETER CHEYNEY, Part Two, by Keith Chapman. Part One of this two-part article can be found here. 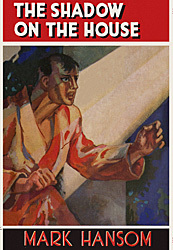 The Detective Weekly cover (1937) is from the FictionMags Index. This is the issue that ran The Gold Kimono, which was written by Cheyney under his Stephen Law byline. Note that it has the title as “Gold” not “Golden”, as recorded in the FictionMags listings, and which I now believe might be a mistake. 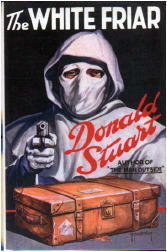 The art is unmistakably by Eric Parker who was still working for the Amalgamated Press (by then Fleetway Publications) when I got my first-ever job on leaving school (as an editorial assistant on the staff of the Sexton Blake Library). 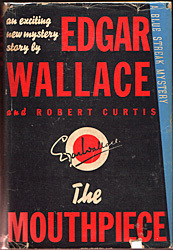 Later (1964), I commissioned Eric to do interior illustrations for the Edgar Wallace Mystery Magazine when I founded and edited this digest for Micron Publications. And here below is the Detective Weekly cover for The Riddle of the Strange Last Words, another Stephen Law novella, which I believe was a version of the newspaper story Death Chair. Roy Glashan informs me that Detective Weekly used the wrong artwork for this issue. The illustration in fact depicts a scene from another newspaper serial, the Vengeance of Hop Fi, which DW was to use as The Mark of Hop Fi. I surmise that the four full-length Cheyney works just discovered in the digitized Australian and New Zealand newspapers were bought from this agency … also that the loss of Cheyney’s “massive set of files on criminal activity in London …destroyed during the Blitz in 1941” (Wikipedia) possibly included the newspaper serials. 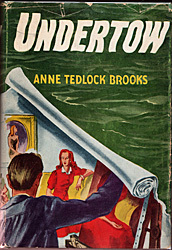 Although I’d read before of Cheyney’s part in writing “Tinker’s Notebook” (a Sexton Blake feature in the story paper Union Jack), I didn’t know that he’d attempted a Blake yarn of his own and had it rejected. I did know that his friend Gerald Verner (aka Blake author Donald Stuart) had a hand in adapting Cheyney novels for the stage. Note: This article has been slightly revised and expanded since it was first posted. From Emmylou’s 1976 album Luxury Liner. She is accompanied on this track by Nicolette Larson. A Movie Review by Jonathan Lewis: THE SHE BEAST (1966). THE SHE BEAST. Miracle Films, UK, 1966; Europix Consolidated Corp., US, 1966, as She Beast. Barbara Steele, John Karlsen, Ian Ogilvy, Mel Welles, Jay Riley, Richard Watson. Screenwriter-director: Michael Reeves. Sometimes, flying by the seat of your pants has long-term consequences. Say, for instance, when you take part in a lynch mob and, without following proper procedures and taking necessary precautions, you drown a witch in a lake. Maybe it’s a pardonable sin. After all, you’re just a peasant and what do you know. I mean: how could you possibly be aware that the deceased witch will, some two hundred years later, come back to life? Well, other than the fact that, just before dying, she tells you that she’ll come back and have her revenge. That’s the premise of The She Beast, a rather clumsy and at times overwrought horror film starring the legendary British scream queen Barbara Steele. She portrays Veronica, the new wife of an Englishman named Philip (Ian Ogilvy). Vacationing in Transylvania on their honeymoon, the couple first has to deal with a broken down car, then a perverted innkeeper. Things get worse. Veronica dies in a car accident. This leaves Philip distraught. 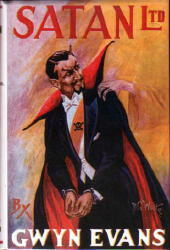 But he, with the help of an elderly Von Helsing (John Karlsen), soon learns that Veronica isn’t dead. Her soul has been temporary been taken by the one and only she beast, the ugly witch that the local peasantry killed centuries ago. And that’s about it. That’s the plot in a nutshell. There’s some creepy Gothic imagery at work here, but by and large, the performances aren’t particularly good. Steele isn’t in the movie for very long, although her screen time is memorable and she is undoubtedly the main attraction. Also look for the bizarre scene in which a sickle gets thrown to the ground and lands on top a hammer. The Soviet symbolism is obvious. Given the fact that the local police are all bumbling communist apparatchiks, I’d say there was some not too subtle mockery of communism going on in this otherwise truly mediocre European horror film. An Archived Western Review: WILLIAM COLT MacDONALD – Powder Smoke. 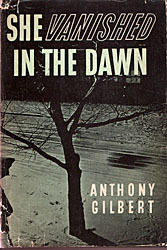 There’s some justification for this book to be included in Al Hubin’s Crime Fiction IV, but I’m sure Al knows best, and in spite of all the criminal activity in it, it’s not. Most of the tale is taken up with the attempt by “Powder Smoke” Peters, owner of the PSP ranch, to clear young Owen Thorpe from the charges that he killed his brother. The main evidence against Owen is the fact that his gun is found on the ground next to the body, so obviously the case is not that strong to begin with. The sheriff, Milton Lapps, is not so very bright, and this also helps keep the case alive. (At one point Powder Smoke nicknames him “Mental,” which tells you something about the book, but I’m not sure what.) I kept waiting for the big twist at the end, but even though I know it’s already come and gone, I feel as though I’m still waiting. — Reprinted from Nothing Accompliced #4, November 1993, slightly revised. THE LOST BOOKS OF PETER CHEYNEY, Part One, by Keith Chapman. Now available at Roy Glashan’s freeread.com.au (a Project Gutenberg offshoot) is The Deadly Fresco, which made its first appearance as a newspaper serial in Australia in 1932. 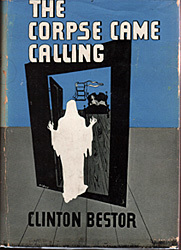 In Roy’s pipeline are several more such full-length works, written as much as eight years prior to publication of the “first” Cheyney novels recorded at Wikipedia, the Thrilling Detective website, the Official Peter Cheyney website, etc. Both these serials were also syndicated and ran in Australian and New Zealand newspapers, such as the Auckland Star and the New Zealand Herald. Digital image files can be seen at PapersPast, a website of the National Library of New Zealand. Roy tells me he has ebook versions of the pair in the pipeline for his RG Library at freeread.com.au. The Vengeance of Hop Fi‘s first appearance that he knew of was the serialization in the Auckland Star beginning on July 7, 1928. 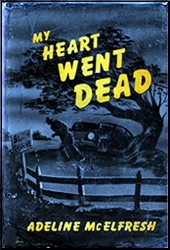 The FictionMags Index has novella, presumably abridged, versions of the Hop Fi and Komino stories listed under the pen-name “Stephen Law” and published in 1937 in single issues of the Amalgamated Press’s Detective Weekly. FictionMags also lists a newspaper serialization of The Sign on the Roof in The Hawick News (Scotland) in 1935. Note: Part Two of this two-part article appears here.